The L’église à Vétheuil was bought by Marcos from Marlborough Fine Art in 1975 for $138,000 and was entrusted to her personal secretary Vilma Bautista for safekeeping in 1985. MANILA, Philippines — Three paintings seized by US authorities from former first lady Imelda Marcos’ aide were put up for auction at Christie’s in New York. Last Sunday, two of the three paintings – “L’église à Vétheuil” (1881) by French impressionist Claude Monet and “Langland Bay” (1897) by British landscape artist Alfred Sisley – were sold at Christie’s for $2.6 million and $900,000, respectively, according to a report of The Telegraph. Sisley’s Langland Bay was bought from Marlborough around the same time for $82,000, and passed on to Bautista 10 years later. Its initial auction price was $1 million and was sold for $1.1 million. A third painting, “Le Cypres de Djenan Sidi Said,” also known as “Algerian View” by French painter Albert Marquet, was auctioned off on Monday for an initial estimated price of $90,000. The Marcos paintings were discovered in two houses in New York after Bautista sold a Monet water lily painting to a London dealer in 2010 for $32 million. The painting was later bought by British hedge-fund manager Alan Howard, who would pay victims of martial law $10 million to forestall legal challenges. The three paintings are believed to be part of some 200 artworks accumulated by Marcos over the 20-year regime of her husband, the late dictator Ferdinand Marcos. 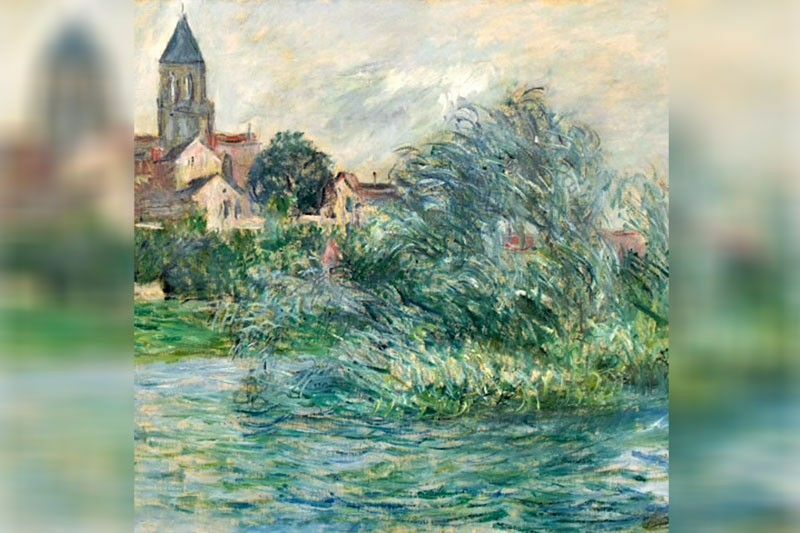 In 2013, Bautista was convicted in the US for illegally selling the 1899 Monet. Marcos last week was sentenced to a minimum of 42 years in prison for creating private foundations to hide her unexplained wealth. The Sandiganbayan found her guilty of seven counts of graft, with each count punishable by a minimum of six years in prison.